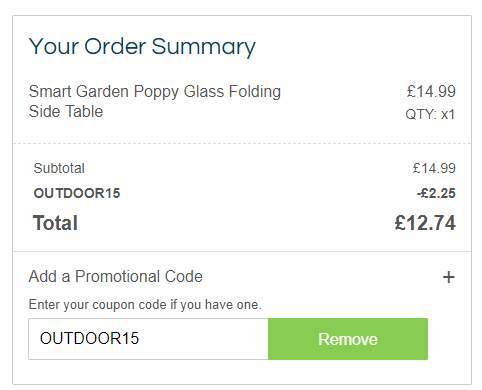 Already on offer for £14.99, code OUTDOOR15 makes it £12.74, which is the cheapest I think I've seen this for. 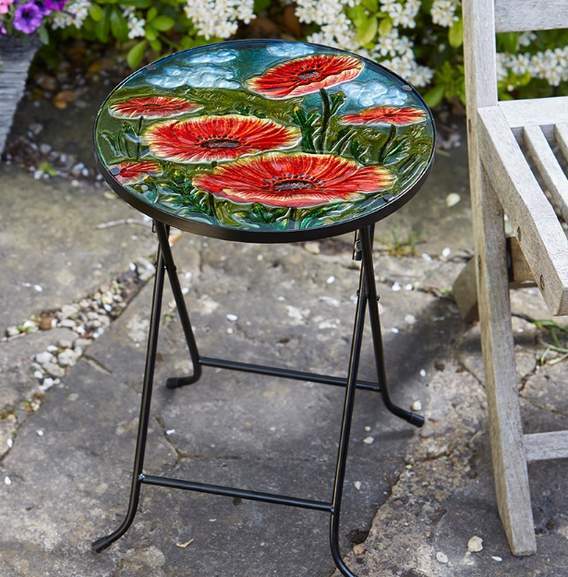 Nice little table to pop outside and as it's small and foldable, Easy enough to store away. 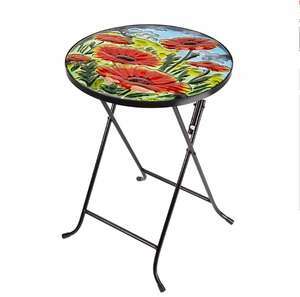 Just so you know, it's not a high table. it's hard to tell on the main picture, so I've added one below so you get an idea, as well as the dimensions. I paid £20 elsewhere so this is a bargain. Lovely timing, ordered, many thanks Neo! Looks nice but it's TINY. I have this and it's impractical. Picked up one last night from Aldi & they are small. Very nice & does rightly as a little drinks table outside in-between couple deck chairs. Oos online so have to check instore. Went on sale Sunday.